PSL Rheotek Pinkevitch Viscometers are suitable for measuring transparent liquids. 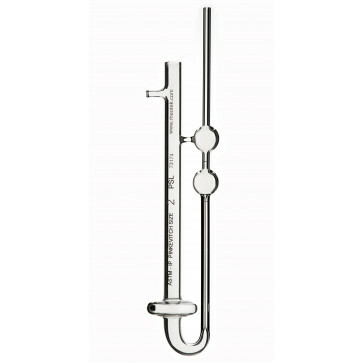 The Nominal overall length of the viscometers are 269 mm. Approximate sample volume 10 ml. The viscometers are supplied complete with UKAS Certificate of calibration (ISO 17025). Laboratory No. 0247. Suitable for measuring transparent liquids. Nominal overall length 269mm. Approximate sample size 10ml. Complete with ISO 17025 certificate of calibration. Catalogue No. Size Nominal Constant Viscosity Range cSt.